I have been on verge of diving into eurorack for a while and have finally decided to jump in. 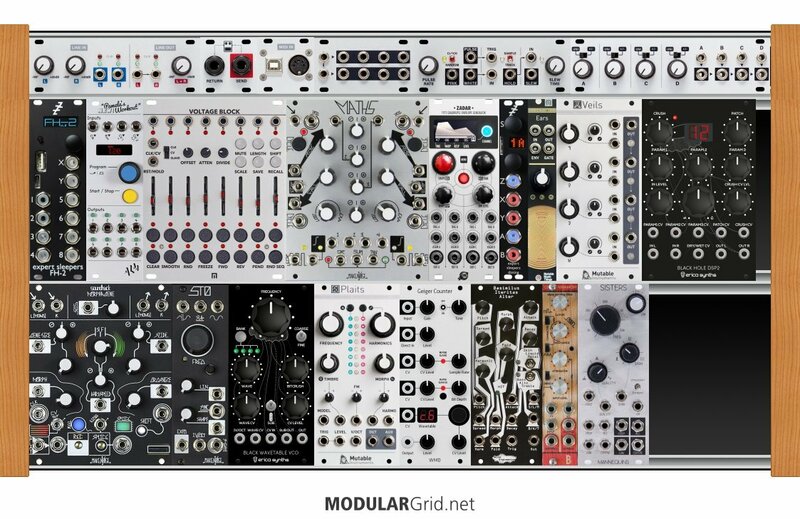 After playing around in VCV Rack for a while, spending some time on YouTube and reading through the forums here, I feel like I'm finally becoming a little more comfortable actually making a few purchases. Before I do however, I was wondering if any of you fine people would be willing to take a look at the rack I put together and provide any suggestions as to where I should start with my first purchases. Because I'm new to the whole thing, I'm sure there are some obvious holes or redundancies in this build so any critique would be super helpful. I already have an 0-Coast that I've been digging into and am looking to include it with my build. I will also probably be doing most of my clocking and sequencing in my DAW to start until my build is fleshed out a bit more so those are not urgent. The only required purchases for me to start would be a rack (looking at the RackBrute 6u) and a Morphagene (I thought a long while about using just this as a standalone as well). This leaves about $1100 to play with. My thoughts to start were the Veils (for the Quad VCA), Batumi (for the Quad LFO), ES Disting MK4 (for the flexibility), Erica Synths Black Wavetable VCO (to be a complimentary voice to the 0-Coast) and probably a simple mult as well. I know the 0-Coast itself provides me with a bit of flexibility as it has a lot of the basics already built in, but I would like to make sure my first few purchases will be as musically compatible as possible. I would also like to make sure the build compliments the Morphagene as much as possible too. This probably sounds a little broad, but in general I am looking for a build that can do some interesting textural ambience as well as have some grit if it needs to go into a more industrial sounding direction. 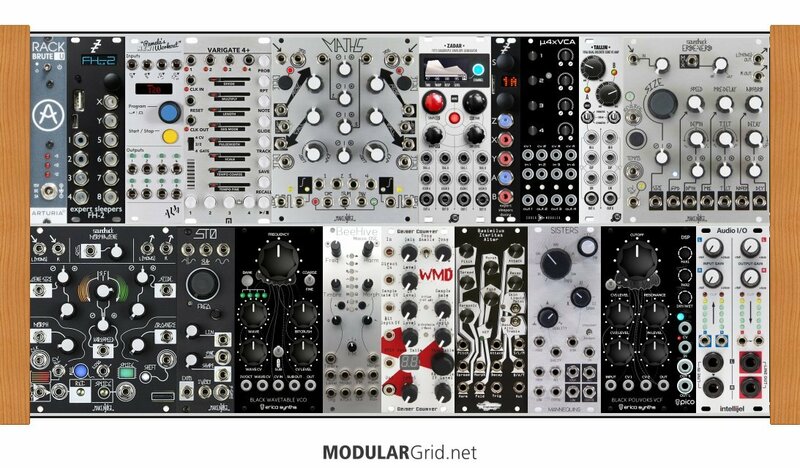 In addition, if there are any modules you think would be a cheaper replacement but do the job better or just as well, I am open to that. And vice versa, if there is a more expensive one. Any comments or suggestions would be greatly appreciated and super helpful! You all seem like a welcoming group and everything that I've seen in this forum makes me feel confident I'll end up going down a road I'll be happy with. Well, first up, if this is supposed to be in a Rackbrute 6U, isn't it a good bit too wide? That's an 88 hp x 2 cab. You might want to try this again in the correct cab size. Thanks for the catch, Lugia. I had it at 88 per row but had extended it at some point just to fit a few modules so I wouldn't forget about them. Looks like I forgot to change it back after I posted. It should be updated in the link now. Rackbrute is 89 hp. A rackbrute 6U has (2x89)-5 (for power) = 173 useable hp. I own several. Keep in mind that the power on the Rackbrute 3U is the same as the power on the Rackbrute 6U. Arturia recommends no more than 640 mAmps on each bus of the Rackbrute 6U (and 1280mAmps on the single rail of the 3U). I've stuck to that 640mAmps recommendation and so far haven't had any power glitches. That's great info, Ed. Thanks! I'm still been waving a little between the RackBrute and spending the extra money upfront and getting an Intellijel 7U. In the long run the portability, expansion possibility and extra 1U rack for those Intellijel utilities looks tempting. At the same time you can expand on the RackBrute too. Decisions, decisions. Funny enough I almost considered one of those PM desktop cases for a while, but just couldn't justify it with the transporting I will most likely be doing. That whole line is really nice looking though. I would probably go with the Intellijel 7U hands down if it wasn't for the significant price difference from the RackBrute. It's the only reason why I'm still undecided. Maybe a Tiptop Mantis, then? Pretty cost-effective for a powered 2 x 104 cab. Also, check Erica's stuff; they make some great cabs that're more studio-oriented that have serious PSes and even some major depth (like 90mm in their deep 126 hp stuff). I contemplated the Mantis for a while. Something about the aesthetic of it I'm just not a fan of. Which is a bummer because it seems like a real good deal. At this point I think I'll probably end up sticking to the RackBrute, at least for a first build. I pulled the trigger on the Morphagene because Reverb had a really nice sale going that dropped the price of a new one about $80 bucks. Any opinions on the rest of my first purchases above? I've also been moving more towards Stages and away from Batumi a bit just because it seems like it has more usefulness in a smaller starting rack. You said sequencing isn’t a priority. Perhaps then ditch the Varigate 4 and the paltry 8 steps and consider a Voltage Block to control various parameters. You could also do that using Pam’s and a Lapsus Os. These are great suggestions, liquid! I think I've now been convinced that the Intellijel 7U is the way to go. That 1U rack frees up more space too. This is the first I've looked into the Black Hole too and oh man, that thing is a beauty. The Erbeverb is real impressive too, but that Black Hole seems to fit with what I'm doing a bit more. Down the road, that Voltage Block looks like the way to go as well. Thanks so much! I updated my rack a bit based on these suggestions. Sensible...the only major reason for going with the RackBrute, as far as I'm concerned, is if you plan to use it solely in tandem with a MiniBrute2 or 2s. Otherwise, you only get a paltry 3 hp of extra space in a 6U over a 6U x 84 hp, which is one of the "standard" sizes. It's far more sensible to go with a 2 x 104 hp cab these days, particularly if you get a cab that gives you a tile row such as the Intellijel and, to a certain extent, the Make Noise cases do. Another thing you might consider would be an external sequencer. There's some magnificent ones out there right now, such as the Squarp Pyramid and the Kilpatrick Carbon, that offer massive feature sets plus internal storage galore. And that fits one of my rules of thumb, that anything that requires being in a Eurorack is what should be in a Eurorack, and anything you can keep out of it leaves more room for the things that have to be in there. As far as sequencers go, definitely look at a Sequentix Circlone and Social Entropy Engine. A neat middle ground is also a Synthstrom Deluge paired with a Hexinverter Mutant Brain. ...or a KOMA Komplex, which is my fave choice. Mind you, it certainly LOOKS intimidating with the bazillion sliders and such, but I got used to being handy with an EML 400/401 many years ago, so having a wall of slider controls staring me down isn't a thing. Thanks, guys! I can definitely work with all this great info. You're the best! Ornaments & Crime micro would be a great replacement and you get a lot more options for your sequencing (dual 16 step sequencing). When NOT using it as a sequencer, you can use it as a quantizer for example. It's 8HP if I recall correctly. As far as compact sequencers go, Mimetic Digitalis is hard to beat. Not terribly well suited for per step on the fly adjustments, but it’s a four channel 16 step sequencer with X/Y CV modulation and sends gate + CV. You can save 16 patches. All in 10 HP. The oC has tedious menu diving, not unlike Pam’s. I still think it’s better used as an ASR. I like to send the Mimetic into a 2hp Arp and that signal into the oC Copiermaschine and from there into the 1V/Oct of a oscillator with a split out from the Mimetic triggering an envelope into the trig of the oscillator. A nice variation is to send two 1V/Oct signals from the o_C into two oscillators of a dual oscillator module (DPO or PH mkIII). Add a slew to one of the 1V/Oct or use an LFO to modulate sync or detune. Maybe the design has changed. But I see 7U worth of rack. Are you placing this in an Intellijel case? If so, go for the 104HP. It has main outs and MIDI built in... but you won't be needing an Intellijel MIDI 1U module with the Expert Sleepers FH2. You can ditch the 1U pedal send/return as it needs another module to function. I don't see it in your rack. You can replace the Intellijel MIDI module with an Intellijel headphone jack. Ditch the Mutable Instruments stuff and replace them with micro versions of each. You'll appreciate the savings in rack space more than you realize.